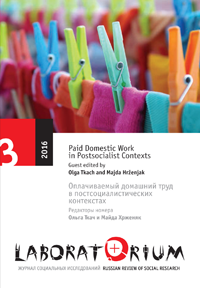 Migration and Domestic Work: A European Perspective on a Global Theme. Ed. Helma Lutz. Ashgate, 2008.